The use of digital dentistry solutions has revolutionized not only our dental lab system, but the entire dental industry from LA to the east coast. 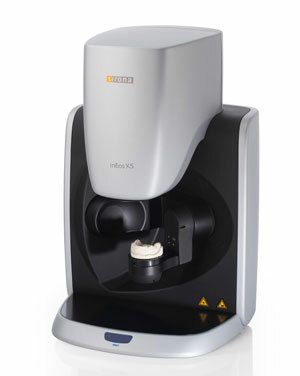 The efficiency of our digital dentistry systems, including digital impressions, has changed the dynamics for dentists seeking precision-designed fabrications that are reliable and accurate. We welcome the opportunity of discussing how we can integrate our modern digital dentistry technology into your Los Angeles practice. Call 720-739-3022. Our digital dentistry services are broad in scope. We believe the transition from conventional hand designed impressions to digital impressions offers a tremendous advantage in terms of reducing turn time for your LA dental practice. We have an avant garde attitude about the progression of digital dentistry in our dental lab, always considering the advantages to us as well as the dental community. Digital dentistry technology has increased our capability as a dental lab by providing the dental community in LA and across the country with improved reliability of restorative fabrications, improved turn times and improved accuracy. For more information about our digital dentistry solutions serving the LA area, call 720-739-3022. As a technology leader in the digital revolution, we have seen the extent to which digital dentistry and most notably the benefits of digital impressions have changed dentistry. Among the more tangible benefits is the cost savings we are able to pass on from our dental lab to the LA dentist. 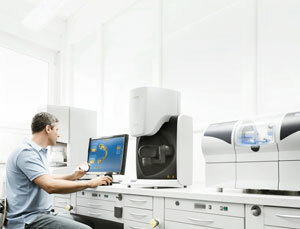 Elimination of the time-consuming issues associated with conventional impressions allows the dental lab to begin the digital design more quickly. Our use of digital impressions results in cost and labor savings that are passed on to the dentist. And patients are pleased with the accuracy and comfort of digital impressions. From CAD/CAM design capabilities to highly accurate fabrication of implants, crowns and bridges in our dental lab, we would like to tell you how we can support your LA practice with our state-of-the-art technologies.